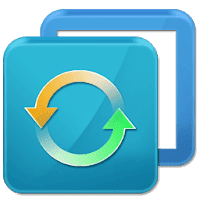 AOMEI Backupper is a handy application that allows you to create disk and partition backups with just a few clicks. You can use the program to select the partition that you want to back up and create a backup image within minutes. It can also explore the created image and restore it to the hard drive if your data gets corrupted. You can create a bootable disk for recovering your data. Start up unlimited client machines through PXE network booting for system maintenance. SSD, MBR Disk, GPT Disk, Dynamic Disk, UEFI/EFI Boot Mode.